What little girl hasn’t dreamed of becoming a mermaid?? I know I did as a child, but the closest I ever got was to cross my ankles to form a “tail” and dive beneath the water of my 12″ deep kiddie pool. I had a great imagination, but if the mermaid swim tails of today had been available back then, my wildest dreams would have come true. This is probably why I have felt such a strong tug on my heart, every time my daughter has asked if she could get one. We’ve been noticing them for years now, but could never get past how expensive they are! We’ve seen lots of little girls swimming around in them, and have been mesmerized by how fun and realistic they look! 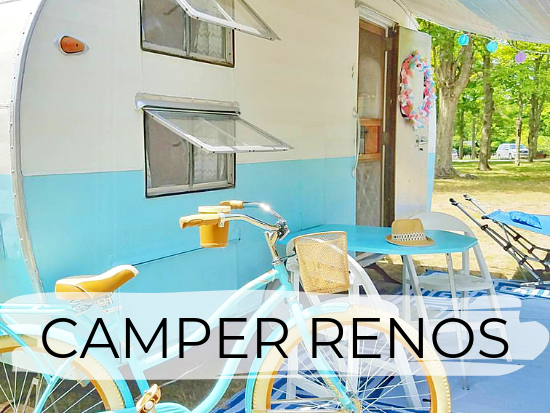 But, every time I’ve looked them up, I couldn’t justify the $100 to $200 price tag on something I see her outgrowing within a year of use. 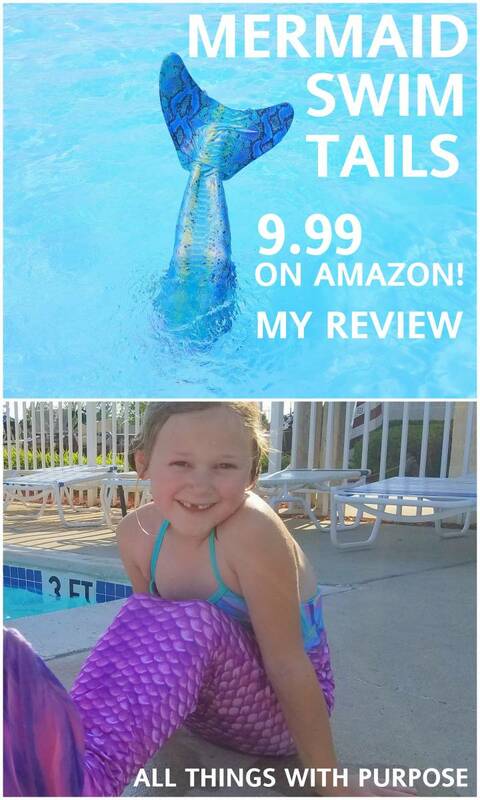 I discovered a brand of mermaid tails on Amazon, called Shimmertails, that were priced as low as 9.99. The reviews sounded promising and I began doing some research. We dove in (see what I did there) and purchased a Shimmertail that includes a monofin. My son, rather sheepishly, admitted that he would like one too, and hey, for 9.99 why not? One merMAN coming right up. What it is: A colorful, stretchy tail that includes a “monofin” at the bottom that attaches to your feet. The “monofin” is what makes it possible to actually swim in a mermaid tail. 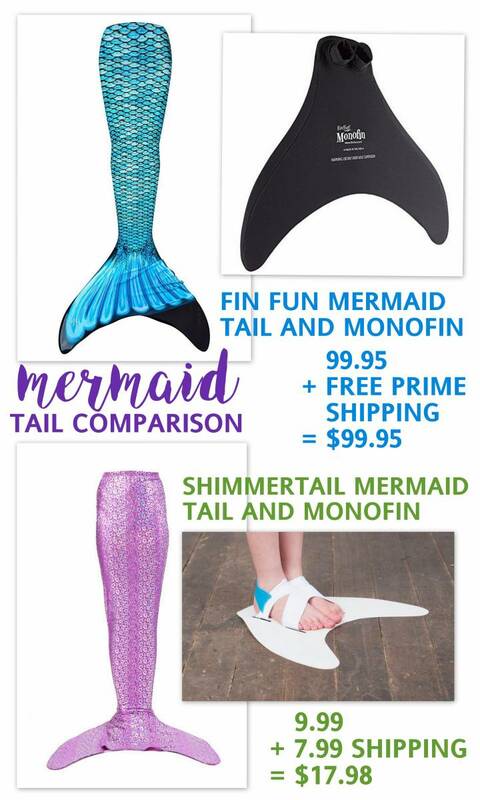 The “monofin” is the main part that sets all mermaid tails apart and is ultimately what makes the difference in price. I found that most of the tails I researched were made out of similar fabric, the monofins were where the difference came in. The monofin is made out of very thin plastic. 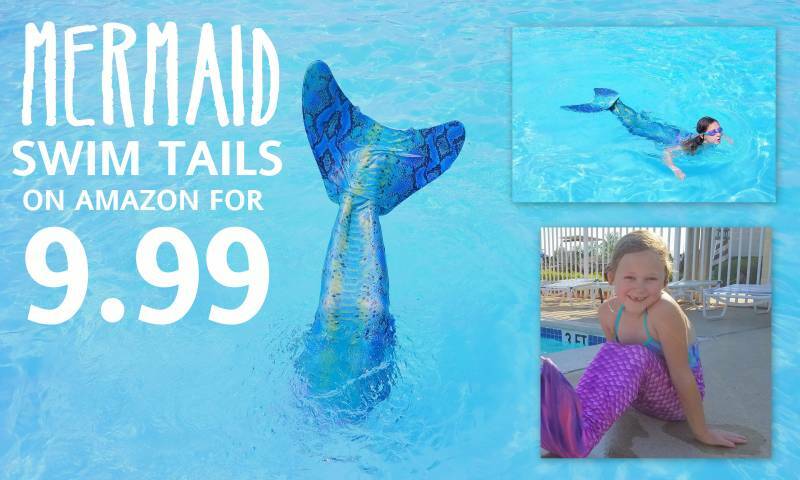 While I’m surprised how well it has held up, I don’t think you’ll be able to swim AS WELL as a more expensive brand like Fin-Fun Mermaid tails. 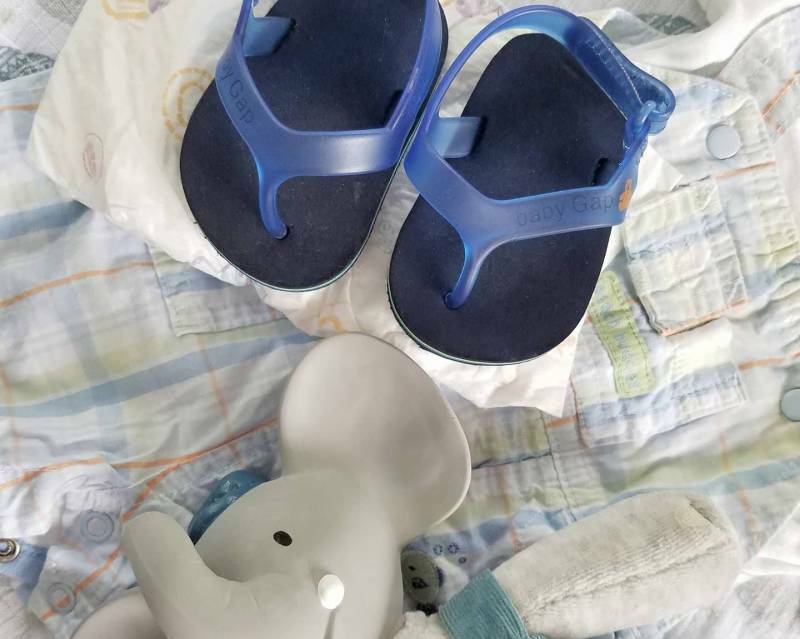 Fin-Fun has a sturdier monofin that your feet actually fit into like a shoe, so you get a lot more control and force to move you forward as you swim. The Shimmertails monofin is bendy and light, and your feet are held on by a couple bands of elastic. It stayed in place for the most part, but every once in a while would come off and my kids would get out to put it back on. It took a little getting used to, but they got the hang of it after a while. Not available on Prime shipping so there is a shipping fee. Q. Can you actually swim in it? A. Yes, surprisingly, you can! A. As long as you know how to swim, it is completely safe. All three of my kids had no problem swimming above and below the water. A. I went with my kids normal sizes, knowing that the tail will work best if it fits well, but I also didn’t want it so tight that they outgrow it too soon. With that being said, they are stretchy and will fit them for a least a couple years I’m sure. The size L (9/10) fits both my 9 year old boy and 10 year old girl with room to grow. Q. Would you recommend it or buy it again? A. Yes! I’m actually about to order one for MYSELF!! They come in adult sizes (woohoo!!) 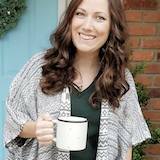 You get what you pay for and I’m sure the more expensive brands may work better, but this one has worked just fine without the guilt of spending so much money. 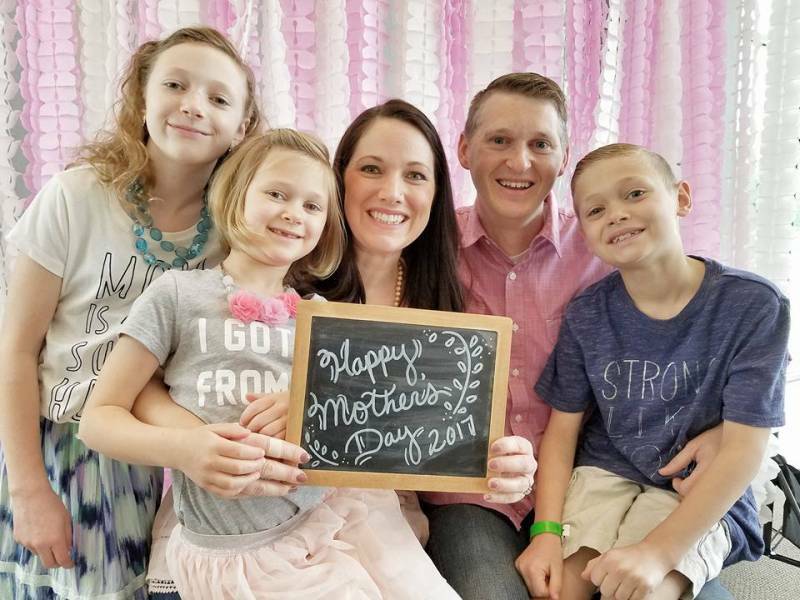 Next Post: Adoption Update: We’ve Been Matched! !